Asheville is very fortunate to have the Appalachian Trail -- a 2,200-mile route that runs from Maine to Georgia -- go right through our backyard. 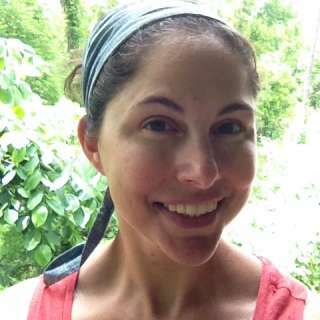 Some people summit Kilimanjaro for a cathartic one-with-nature (or man vs. nature) experience; some hike the culturally rich Appalachian Trail. Travel writer Bill Bryson wrote a smart, funny account of his own efforts to hike the AT in a book titled A Walk in the Woods, which has been made into a movie starring Robert Redford, coming out September 2, 2015. This, coming on the heels of Wild (2014), which highlights a woman’s experience finding herself while thru-hiking the Pacific Crest Trail out West. Films like Wild and A Walk in the Woods -- and the inspiring true stories behind them -- are blazing trails all over the country for new hikers to find themselves out in nature. 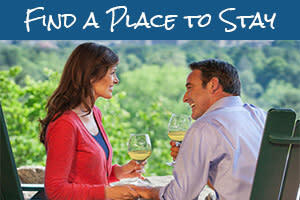 And what better place to blaze your own trail than in Asheville? 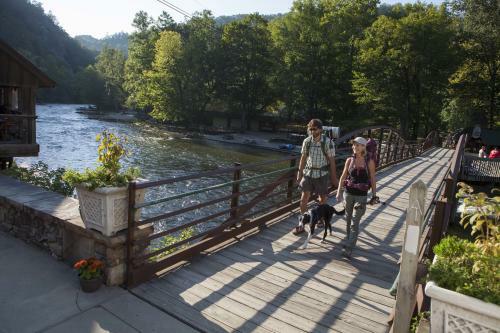 If you want a sample of the hiking experience you saw Reese Witherspoon or Robert Redford so masterfully emulate, then check out one of these easily accessible sections of the Appalachian Trail. Choose from two easy loop trails (the 1.4-mile short loop or the 2.4-mile long loop) on this Sound of Music-esque section of the Appalachian Trail. Details and directions here. 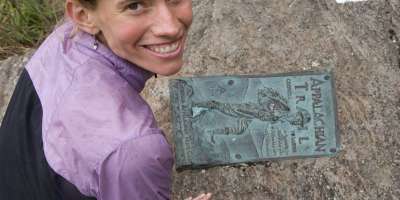 Davis held the record for four years for the fastest thru hike of the Appalachian Trail with a time of 46 days, 11 hours, and 20 minutes, which she completed in 2011. That record earned her the titles of National Geographic Adventurer of the Year and Ultrarunning Magazine Female Performance of the Year. 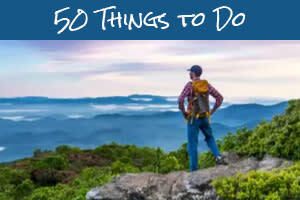 Her outfit, Blue Ridge Hiking Company, offers half-, full-day, and overnight trips in Pisgah National Forest, which surrounds Asheville. Lovers Leap Loop Trail and Hot Springs, N.C.
Just 45 minutes from Asheville, Hot Springs is a true AT town with the trail literally running right down its main street. Don’t be fooled by the mere 1.6 miles of the Lovers Leap Loop Trail -- it gets pretty steep, and the switchbacks can require some fancy footwork. Details and directions here.